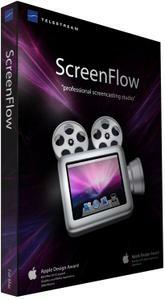 ScreenFlow has the best screen capture available – even on Retina Displays. Record any part of your screen or any open window by itself. 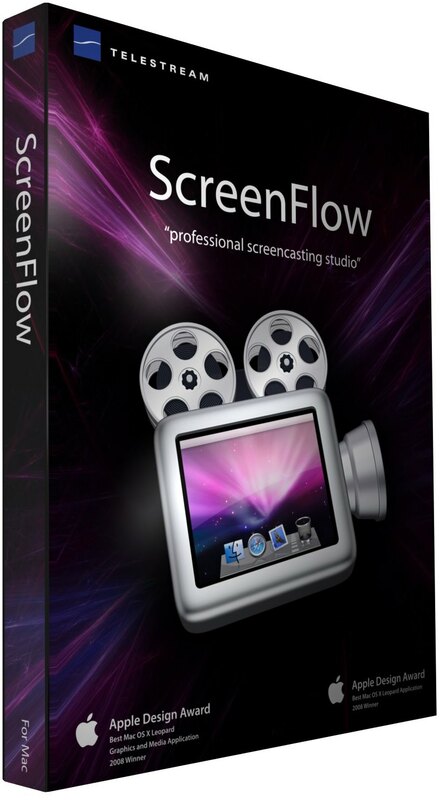 ScreenFlow’s intuitive interface allows even those with no video editing experience to start creating epic content in minutes. Just record, edit and share. Add professional touches to your videos with built in transitions, annotations, text, audio & video filters, New! multi-channel audio mixing, chroma key, screen recording highlights, callouts (mouse, window, freehand) and much, much more. Animate graphics, titles and logos with powerful new effects like Spring, Growity and Pulse. Use effects to help direct attention to your onscreen demo or tutorial. Add mouse click effects, adjust the mouse pointer size, and display any keys pressed during your screen recordings. With dynamic update of imported media, direct access to your iTunes and iPhoto libraries, as well as easy ways to organize your media such as nested clips, multi-track editing, markers, and color labels on clips, editing in ScreenFlow is easy and fun. Add closed captions to all your movies. Use ScreenFlow’s caption editor tool to add, edit and publish ADA Compliant soft subtitles as caption tracks to your MPEG-4 movies (suitable for playback with an iPhone & iPad) and YouTube videos. Caption tracks can be created in multiple languages and can also be exported separately as an SRT file. Also import SRT files for use in the caption editor. Export your screencast directly to Vimeo, YouTube, Wistia, Google Drive, Dropbox, Facebook or New! Telestream Cloud from within ScreenFlow. When you are done editing your screencast, simply select "Publish To.." from the menu and choose your destination. ScreenFlow will publish directly to your destination and save a local copy on your computer. Create animated GIFs right from the timeline. It's easy to export great looking short animations for the Web, memes, tutorials or social sharing. ScreenFlow comes with a number of preset export settings for optimal quality (such as Web, iPhone and iPad). Now you can export the quality and settings you need. New! ProRes 422 and 422LT added. Publish and encode directly to Telestream Cloud for even more encoding formats like HLS, MPEG-DASH, WMV and more! • Export window highlights the extension of the exported file name.